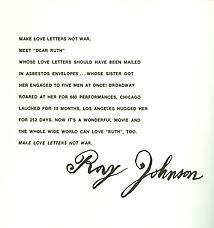 When I met Ray Johnson in 1955, he took my address and mailed me some mimeographed sheets of cut-up phrases, mock letters and epistolary manifestoes. When I wrote him a letter, it was returned promptly, torn up and pasted down. I was shocked and pleased at this small liberation from the conventional uses of the mails, and learned to see how his mailings called attention to the conventional processes of correspondence – envelopes, stamps, cancellations, complimentary closings – to make an unconventional point. 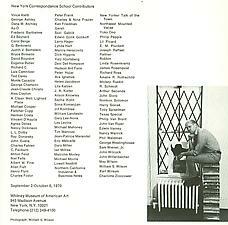 His communications called attention to the charms and irritations of any communication, in which there are arbitrary restrictions, bourgeois interferences, and compromising self-stylizations, which limit communication even as they make it possible. Some distance is necessary for some closeness. 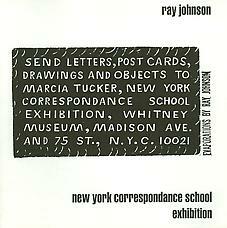 Ray Johnson’s friendships were mediated by the post office. 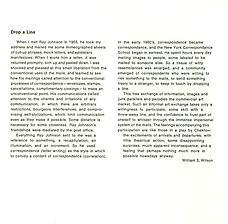 Excerpt by William S. Wilson as published in the exhibition pamphlet.